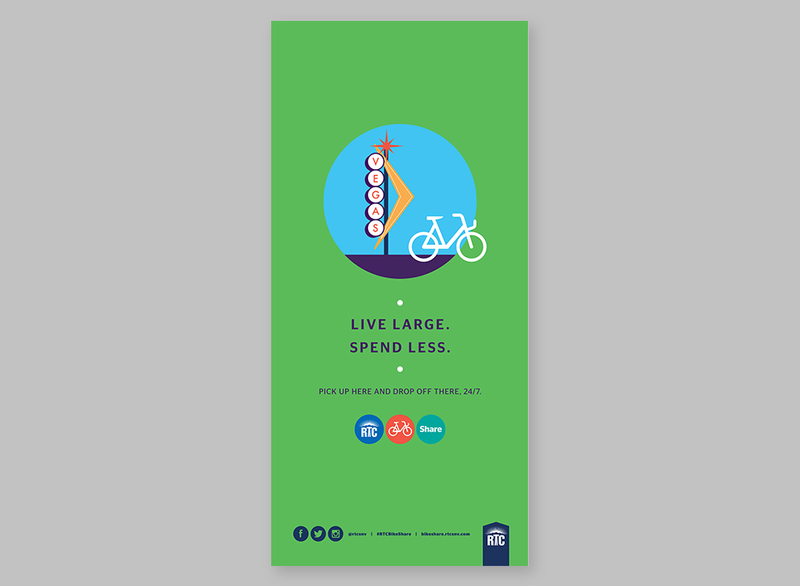 Design a poster series and marketing materials for Las Vegas' bike share. 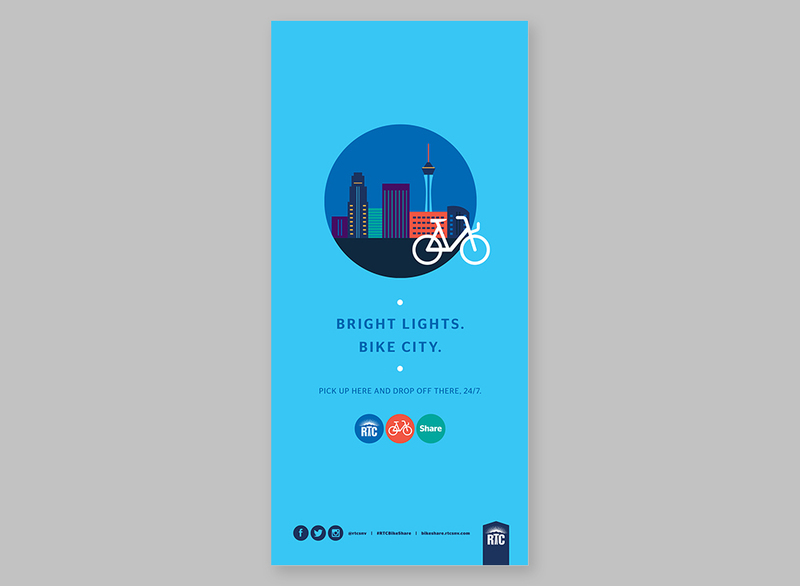 With the environment in mind, bike shares have been popping up all over the globe. Las Vegas joined in on the trend, establishing the RTC Bike Share. 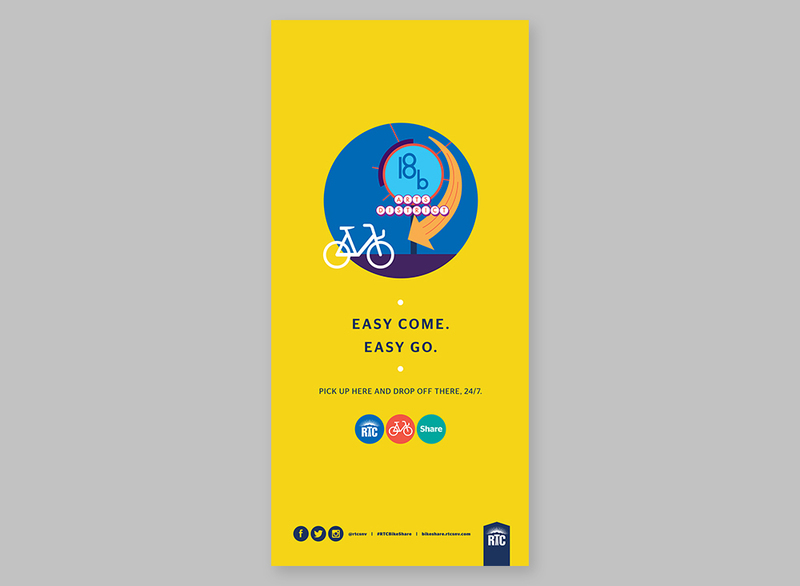 We were contacted to create a series of posters for the station kiosks. 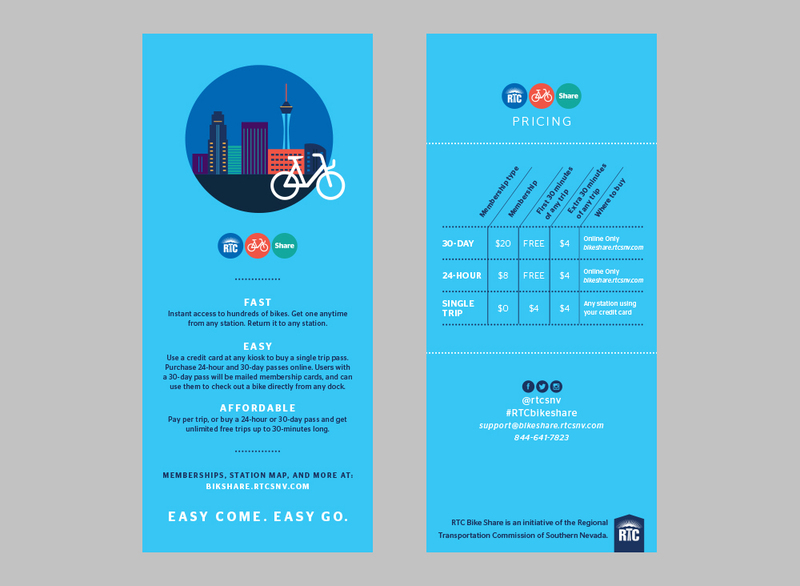 Starting with the posters, a spot illustration style was created. This illustration style was carried throughout the four posters, calling out to prominent signage and themes of Vegas culture. These illustrations were carried through to other marketing components: including brochures, rack cards, t-shirts, and stickers.